September and October were filled with travel, and now that things are getting more settled, we have a lot on the calendar for November, December, and beyond, so I hope to see some at some of these upcoming events in the next few weeks! 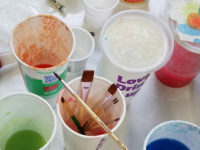 Go beyond making sheets of paper and learn how to work with paper pulp as a fine art medium, moving from 2- into 3-dimensions. We will work with cotton pulp and high shrinkage flax to learn a variety of techniques and new skills. Learn how to make paper by hand, start to finish, beginning with plants from Greensgrow Farms! 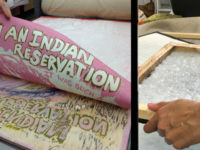 We will learn various terms associated with Western papermaking, how to test plants for good fiber quality, and cover best practices for sustainable plant harvesting and plant-papermaking. Harvest and Preparation Day are free, and there is a $25 discount on the workshop for those who participate in the harvest or preparation day! Learn how beautiful, traditional Japanese washi is made, a true beginning to end workshop! January 13th & 14th, and February 11th.